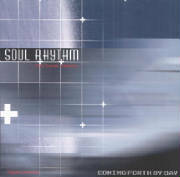 Soul Rhythm is the sound of ambient and Techno music which combines electronic rhythms; beats from urban, Indian and African traditions with an overlay of jazz improvisations, poetry, and spoken-word rhymes. Their music is a combination of organic and electronic instruments, which are reminiscent of 70’s Miles Davis, Weather Report, and Sun Ra with a futuristic backdrop, pioneered by producer Bill Laswell and trip-hop artist Tricky. 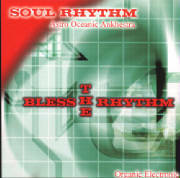 The sound is a fresh fusion of modern electronic music and acoustic sounds. The bands recent music project is a new CD album titled, Between 2 Seas (Popp CD 2007) that is produced and mixed by KAS and Caleb Grayson, that is currently enjoying airplay on radio stations in Detroit. Live the band’s performance is a polished electro-acoustic orchestral journey. 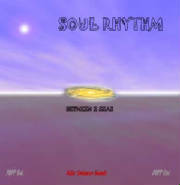 The Soul Rhythm band was envisioned and created by KAS, which features guitar work and vocals by Caleb Grayson, the bandleader of Quaker Cage and current owner of Xhedos, Metro Detroit's hottest multimedia venue with a holistic flair. KAS the Detroit producer, promoter, bandleader, and best known for ONXYZ Primal Electric Band; Kas Serenity; Earth Island Orchestra; and work with members of P-Funk plays keyboards, electronic programming, and percussions. Faruq Z. Bey, the Godfather of Avant-Garde Jazz in Detroit, known as a brilliant Jazz Writer, Composer, Poet, and the founder of the critically acclaimed Griot Galaxy jazz group is featured on saxophone and flute. Bey has shared the stage with Leroy Jenkins, Roscoe Mitchell, James Blood Ulmer, Art Ensemble of Chicago, and others jazz greats. Peggy King Ahmed (best known for her work with the “Layabouts” and “Earth Island Orchestra”), a versatile musician, radio personality, and teacher performs vocal duties and Middle Eastern and Asian percussions, along with percussionist, River, a leader in the Metro Detroit drum circles. Kenny Captoin handles electric and acoustic percussion duties. Jason Hogans from Planet E performs keyboards and electronics. 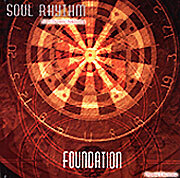 Soul Rhythm has developed a huge underground following reflecting a cross segment of fans and music loyalists. The band did a smashing performance at Detroit’s “Taste Fest” and also at the Cutting Room in New York City opening for Greg Tate’s band Burnt Sugar. The band has shared the stage with Grammy Award winner, Michael Rose at the Chicago Reggae Festival. 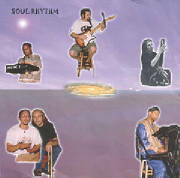 In addition, the band often features various guest and alumni, such as, Funk guitarist, Ron Smith best known for work with Enemy Squad and P-Funk; Geter Most, Drum and Bass Electronics; Adam playing Sitar and Tambura; Kenny Robinson, Electronic Trumpet and Flugelhorn; and New York City’s, Tom Russo on Trumpet and Flugelhorn.